This was several years ago, but Jalopnik ran this article on Friday: “Guy Loans His Car To His Roomie, Gets Life In Prison“. It was the first I’d seen of it, the original story ran in the New York Times. Both are critical of the felony murder rule, which treats everyone involved in a crime the same as the killer. It is not critical enough of Florida’s draconian sentencing laws that mandate life without parole, even for the most minor of accomplices. Ryan Holle, a 20-year-old from Pensacola, lent his roommate his Chevy Metro, which the roommate used to transport some friends to a robbery of drug dealer. The drug dealer’s 18-year-old daughter was bludgeoned to death during the robbery. It is a brutal crime, and since the killing occurred during a felony, all the robbers are considered guilty of murder. But wait, Holle didn’t come on the robbery, did he? It doesn’t matter, under the principle theory, even the most minor accomplice is just as guilty as the rest (excepting accomplices after the fact). In Florida, most felony murder is First Degree Murder, which means that everyone involved, even the minor actor on a principle theory, is subject to the same life in prison sentence. Life is mandatory, even if the judge wanted to give him 50 years, he would be prohibited. 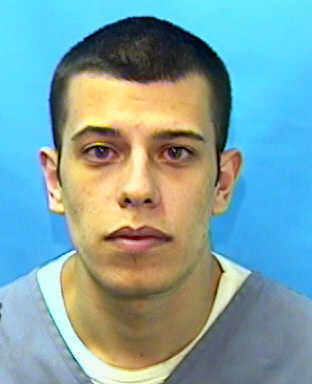 Anyone convicted of First Degree Murder in Florida dies in prison. Holle says he thought the roommate was really just going out for food. However, there was evidence that he knew they were planning a robbery. That’s all it takes, if he knows the plans, and aids, abets, or encourages them in any way, he is guilty under the principle theory. The prosecutor did offer a reduced charge, that would have allowed his release in 10 years. He rejected that offer, not thinking the worst would happen. If you Google his name, there are several websites that discuss his case. He is coming up on 10 years since he was sentenced to Life in prison. Be careful to whom you lend your car. In a surprise, a Grand Jury declined to indict 2 teens that had been arrested and charged with Felony Murder for allegedly killing a delivery-person during a robbery. It’s a surprise, because there is a lower burden of proof before a Grand Jury, and the State can usually get their indictment. The old saying is, the state could indict a ham sandwich if they wanted to. This Grand Jury isn’t biting on that sandwich, so far. According press reports, the Grand Jury stated that the only evidence of their involvement was an admission of one of the juveniles, and that they other one may have had an alibi. They are slated for release, shortly. According to the News-Press, the FM PD will continue to investigate. If additional evidence can be presented to the Grand Jury, an indictment can still be obtained. Also, the state could decide to direct file an Information (or a Juvenile petition) against the teens if they think they can prove it at trial- so the case is not over, for sure.